London taxi drivers will no doubt make their opinions on the matter known loud and clear and at interminable length. Chinese car maker Zhejiang Geely is now in contyrol of the manufacture of the capital’s black cabs after buying Manganese Bronze, for a paltry £11 million. Jobs and production in Britain have been safeguarded by the deal. There was anxiety about the future of the production plant in Coventry after Manganese Bronze, went into administration last October. They have been making black cabs since 1948, but by definition, there is a specialist and limited market for the cars. The Chinese company have undertaken to continue the business as normal, although it seems inevitable that there will be attempts to cut costs. "Geely's priority will be to re-establish the manufacture, sale and servicing of new and current vehicles on broadly the same basis as existed before the business went into administration," the Geely chairman Li Shufu said. This will include the continued assembly of the TX4 model. This design caused major problems for Manganese Bronze when safety concerns forced the recall of 400 taxis and a freeze on new sales. Geely has already made considerable losses from its shareholding in Manganese Bronze. One market analyst, John Zeng of LMC Automotive, was perplexed that they would buy the company. "I am not sure why Geely would get itself into such a deal ," he told Reuters. 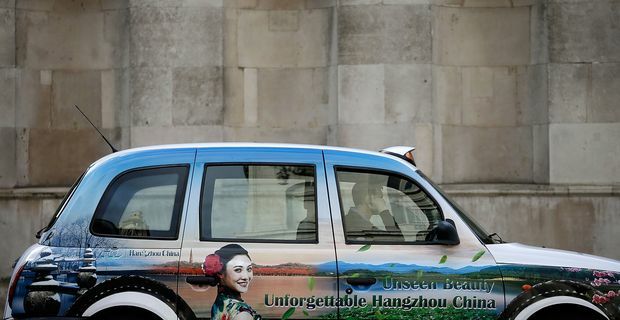 "The black cab is too British to win mass appeal anywhere, not even in China. The best hope for Geely is to move the production line to China, cut costs and sell it back to London." Once they start doing the sums, they may come to the same conclusion. For now though, production of the iconic cabs would continue and Geely are considering plans to produce a low-emission taxi to serve the capital.